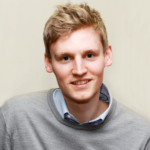 Home » Blog » General » How should primary schools be held to account? 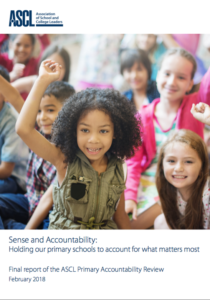 ASCL today launched its Sense and Accountability report, which examines how primary schools are held to account and how this can be done better. I was delighted to play a small part in the production of this report, sitting on its expert panel. 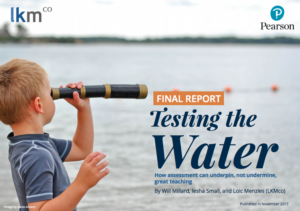 ASCL’s review builds on LKMco’s recent #TestingTheWater report, which explored how assessment can better support great classroom teaching. The ‘do or die’ nature of the tests can be hugely stressful for teachers, governors, pupils and parents. Schools’ performance data should be published as rolling three-year averages. LKMco and ASCL are part of a growing chorus of voices calling for this. You can read more about this proposal here. Far greater clarity is needed across the sector about the purpose of different assessments and how these feed into school-level accountability. The government should build experimentation into its school accountability mechanisms, to ensure they do actually support school- and system-level improvement. One approach suggested in #TestingTheWater would be different regions designing their own accountability and school support frameworks, within pre-defined parameters set by the Department for Education. Teachers need far greater access to high quality training in curriculum design, assessment, and data analysis, throughout their careers. You can download ASCL’s Sense and Accountability report here, and LKMco’s #TestingTheWater report here.